If you believe that radon gas is intruding into your home, it's time to take action against it. 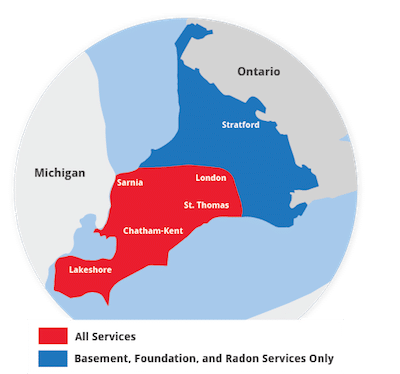 Advanced Basement Systems of Ontario can help you, by providing radon testing and a quote on the cost of a radon mitigation system in your home. 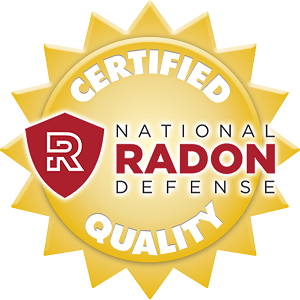 It's easier than ever to get your home tested for a radon problem! Advanced Basement Systems can perform an inspection and conduct a radon test in your home in as little as two days! To contact us, call 1-844-320-1542 or contact us online today! We serve Ontario, including London, Windsor, Chatham, Sarnia, Windsor, Stratford, St Thomas, Leamington, Essex, Amherstburg, Strathroy, Ingersoll, Kingsville, Aylmer, Goderich, Hanover, Listowel and the surrounding areas in Ontario. "Service team arrived when they said they would. Sent..."
"Joel was right on time and explained the entire..."
"No suggestions. Very professional, courteous, and..."
"Joel was perfect and did an excellent job." "The crew foreman/serviceman Jordan Wilson was the best I..."
"Joel Desjardins was superb. Very efficient, friendly,..."
"Mike Modde and Joel Desjardins came here to install a Radon..."
Radon is an odorless gas produced by uranium decay in rocks and soil. Estimated to cause 3,000 lung cancer-related deaths annually. The pipe needed to go through the foundation wall as seen here. Advanced Basement Systems' radon mitigation system uses sub-slab depressurization to reduce radon levels. As a full-service radon mitigation contractor, Advanced Basement Systems can also install a radon mitigation system that is compatible with the current waterproofing system in your basement or crawl space. We proudly serve Windsor, Stratford, St Thomas, Leamington, Essex, Amherstburg, Strathroy and homes nearby!